Forensic Toxicology & Pharmacology: What’s the Difference? Both forensic toxicology and pharmacology involve the study of the effects of drugs on biological systems, where drugs refer to any man-made or natural substance that has either a biochemical or psychological effect on the recipient. There are, however, significant differences between these two branches of medical science. This practice involves research and experimentation with different known or unknown compounds in order to test the various effects they have on different organisms. Often, pharmacologists study different types of diseases or disorders and attempt to synthesize new drugs in order to treat them. Consequently, pharmacologists are more focused on the therapeutic and palliative effects of different chemicals than rather the adverse effects of these chemicals, which is more important in the field of toxicology. Frequently, pharmacology is incorrectly thought of as synonymous with pharmacy. Pharmacology deals with research, experimentation and synthesis of chemicals in a laboratory, whereas pharmacy is a medical health profession that applies the discoveries made by pharmacologists in a real-life or clinical environment. In contrast to pharmacology, toxicology refers to the study of the effects of venoms, poisons and drugs on biological organisms. As the name suggests, toxicologists focus on the toxic properties of these substances. This science studies the effects of dosage on systems, factors that influence the strength of chemical toxins, and the method the toxins enter an organism. 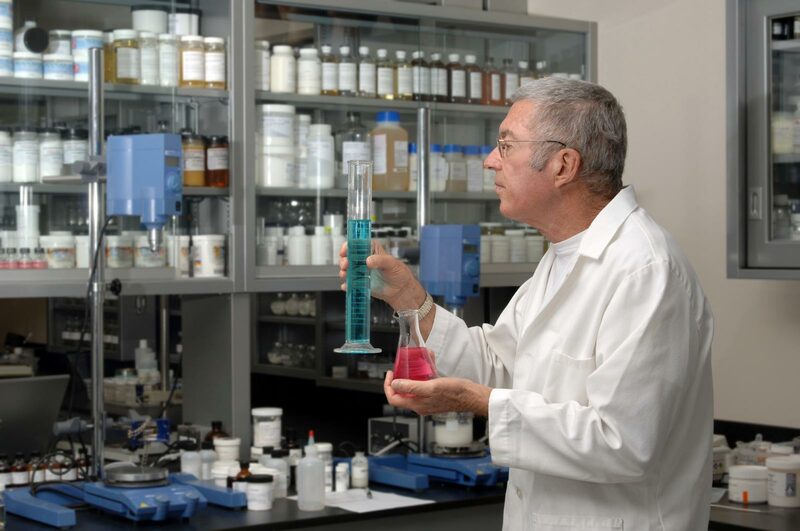 The study of toxicology is also laboratory based, but can involve direct interaction with people or an environment. When poisoning or drug use is suspected in a crime, a forensic toxicologist will be called, in order to aid the legal or medical investigation. Often, the toxicologist will enter a crime scene and search for anything that may indicate toxic related interferences, such as pill bottles, dirty needles, and illegal drugs or trace residue. The toxicologist will then return to a lab and analyze the chemical make-up of the substance, and attempt to determine whether or not the substance was toxic, and if so what amount or dosage was necessary to cause harm to a victim of poisoning. Forensic toxicologists also test bodily fluids in order to determine whether or not toxic chemicals are present. For example, in the case of suspected drunk driving, a blood sample will be taken and used to determine the person’s blood alcohol levels at the time the blood was drawn. Blood samples are the preferred way to test for chemical exposure, but toxins can also be detected in urine samples or other bodily fluids. Hair follicles may also be used in order to provide a rough timeline of when a substance entered the body, however it only provides a medium to long term record of exposure, and is also influenced by hair color and coarseness. Postmortem autopsies are very useful in order to detect any undigested substances, which will be easier to identify than metabolized substances. Once ingested, a substance often does not remain in its original form, and it is the forensic toxicologist’s job to determine what the original form of the toxin was. Forensic toxicologists can also use other organisms to determine what toxins are present. Organisms such as bacteria or maggots may ingest the chemical, and can be analyzed by the toxicologist in order to determine its chemical makeup and the effect it may have on the human body. Consequently, there are many differences between pharmacology and forensic toxicology. The main difference being that pharmacologists deal with the experimentation and synthesis of therapeutic drugs, whereas forensic toxicologists examine the effects of toxins when a crime or poisoning has been committed, in order to aid a legal investigation.